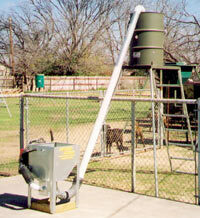 We offer a complete line of feeders, feeder units, electronics, and accessories. Click these links for a full list of blinds and feeders. 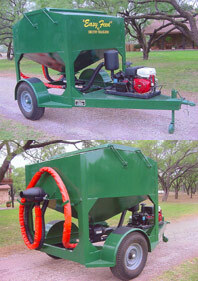 Unit can set in truck bed or can be used in 2" receiver hitch. Designed to alleviate the time-consuming and back breaking work involved in preparing for a good deer hunting season. Very safe, labor-saving device. Waist high lifting of feed...fill the hopper...it fills the feeder. Unit fits in the bed of a truck...setup is quick & very simple. Sit back and enjoy the outdoors while the Speed Feed System does all the hard work! Lifts 100 lbs. of feed per minute. Digital technology for natural sounds. 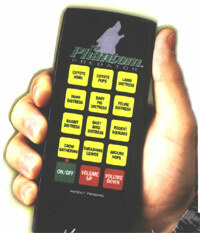 With just the touch of a button you can attract any predator, quietly and with less movement. You can create a variety of calling sequences to lure in animals ranging from coyote, fox, bobcat, bear, mountain lion, wild boar and crow. Compact, all weather ABS, 15-watt speaker, 60 ft. speaker wire. 12 different sounds proven to arouse the curiosity of Whitetail Deer. Play sounds individually or any two simultaneously to effectively create the illusion of a live, moving deer. Ground Scrape, Buck Battle, Social Sparring, Forage Paw, Deer Step and Antler Tree Rub. Snort/Wheeze, Dominant Grunt, Social Grunt, Tending Grunt, Estrus Bleat and Fawn Distress. Rugged, all-weather ABS construction. Full volume control. Battery-operated (9v) with automatic shut-off. CamTrakker is a fully automatic 35mm camera combined with a passive infrared motion detector which senses "heat-in-motion" within a conical area. Scouting is essential to successful trophy buck hunting. Unfortunately, the more time you spend scouting the more difficult a trophy buck will be to hunt. He knows you are there. You contaminated his territory with human scent. 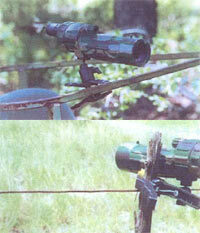 CamTrakker solves this problem. Used in conjunction with scouting, CamTrakker maximizes your scouting information while minimizing your presence in the buck's territory. You attach the fully enclosed, weatherproof unit to a tree and CamTrakker will quietly take photos of deer as they walk by and trigger the sensor. 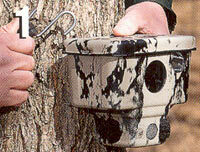 Before activating CamTrakker you choose day-only, night-only or 24-hour operation. You also select among six delay options from 20 seconds to 45 minutes (this feature reduces the chance of too many photos of the same deer). With Tracker Brackets you can now place your camera anywhere you can drive a stake in the ground. You no longer have to find a tree in the right location, and growing at the desired angle. 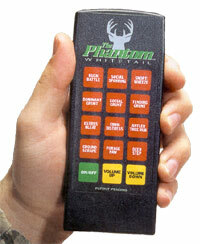 This is a must-have for anyone using trail cameras. All brackets simply slide over any size pipe, stake, or rod up to 15/16 in diameter (not included). It can be adjusted to any desired angle or height by using the 3 adjustable knobs. � Custom orders & more popular models available upon request. 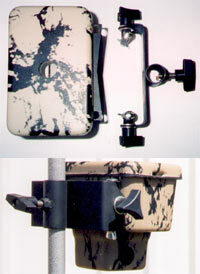 This allows the Cam Trakker user to mount the camera wherever he desires in a fast and safe manner. Don't have to depend on finding a tree and bungee cord to mount camera. Scope Clamp operates just like a tripod, swivel, rotate and pan. Can be used to hold spotting scope, camera (still or video) or any unit with a cammon screw receiver. Scope clamp can be clamped to almost anything that is available.